legendary Air Studios for yet another session, each more ambitious than the last. Rehearsed, mixed and cut directly to vinyl in one day by Mike Valentine, owner of Chasing The Dragon Records. "The orchestra rehearses downstairs while upstairs the mastering room engineers record and play back a test lacquer. 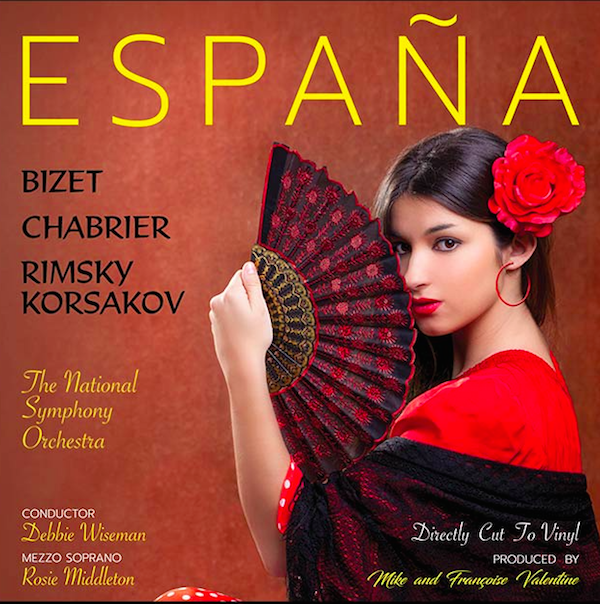 Finally, it's time for a recorded take of the "Carmen" excerpts with Mezzo-Soprano Rosie Middleton. The tension is palpable in both the control room and upstairs. It's quickly clear that the free-spirited rehearsal has given way to a darker, more constrained performance that satisfies no one, especially Ms. Middleton. The second take is better but is still missing the required "magic". Take three is "the one". Everyone is relieved and it's technically perfect."